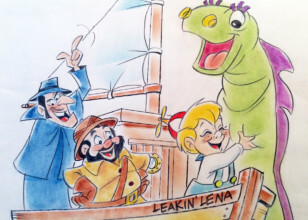 Are those Brontosaurus milkshakes Wilma and Betty are drinking as they chat and spend quality time with their families? 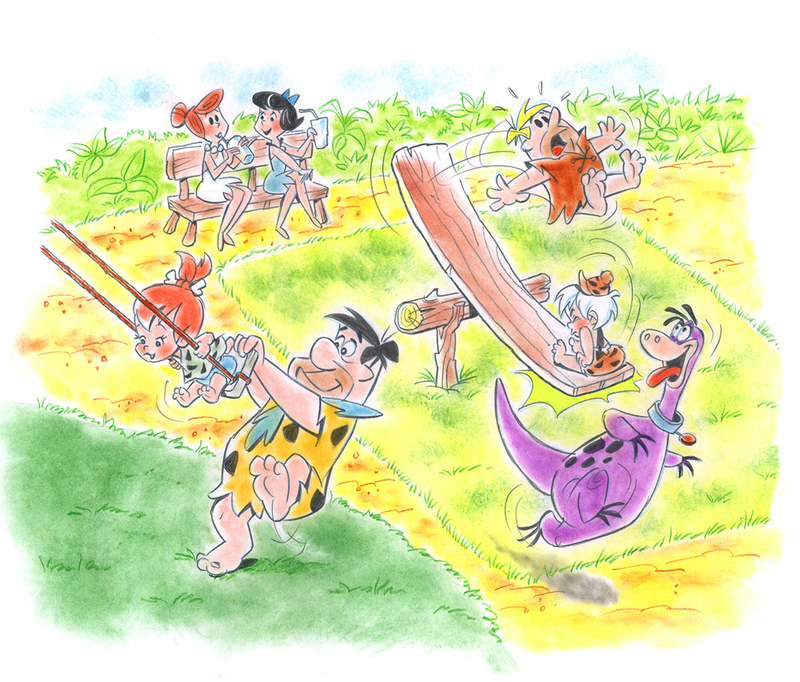 Pebbles and Bamm-Bamm look like they’re having a ball with their dads Fred and Barney, and Dino is always ready to be called in as an extra babysitter! 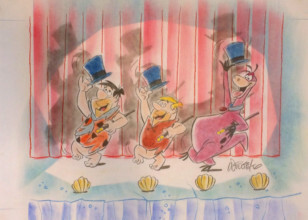 The town of Bedrock is second only to Springfield in the hearts and minds of cartoon fans, as this show, which was first broadcast in 1960, still ranks second only to The Simpsons in the Greatest TV Cartoons of All Time, as voted on by TV Guide in 2013. 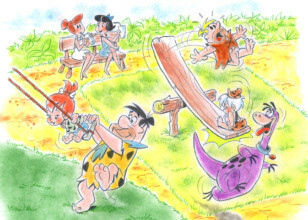 Prehistoric Playground was created by master animator Willie Ito, who has had a storied career that has spanned over 60 years, and has had a hand in some of the greatest classic cartoons in almost every major animated studio as a character animator and layout artist. 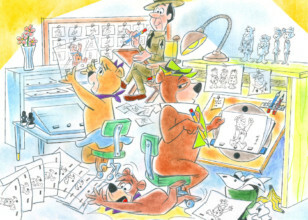 Disney, Warner Bros., Bob Clampett Productions, and Hanna Barbera have all benefitted from his creativity and talent. The artwork is printed in the fine art Giclee process on fine art paper from Ito’s watercolor original art. Each print is then hand-numbered and then signed by Willie Ito. It is offered in an edition of 50.